Heat the air used in low-temperature processes and dehumidification by mounting these heaters inside air ducts. 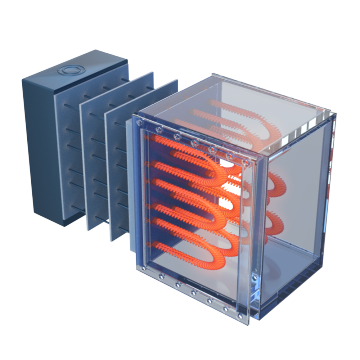 The finned, tubular heating elements and enclosure are made of steel for strength and durability. The flanges are pre-drilled for easy mounting. 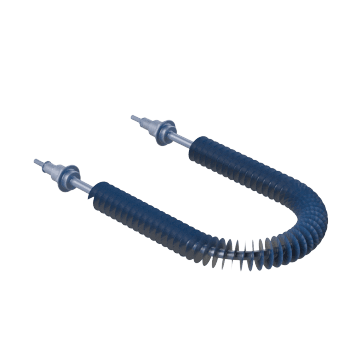 The heating elements of these heaters have a continuous spiral-wound steel fin that is brazed to the tubular sheath for efficient heat transfer to the air. Automatic and manual reset thermostats for two different temperatures are provided for safe operation. 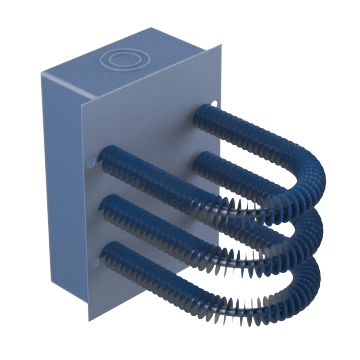 Use the included mounting and connection hardware to replace the old heating element in your finned tubular air duct heater with one of these elements.